J. Kobus, Diatomic Molecules: Exact Solutions of HF Equations. X. Li and J. Paldus, Perturbation Theory for Low-Spin Open-Shell States. C. Valdemoro, L.M. Tel, and E. Perez-Romero, The Contracted Schrudinger Equation: Some Results S. Wilson, Distributed Gaussian Basis Sets: Some Recent Results and Prospects. B.T. Sutcliffe and D. Moncrieff, The Nuclear Motion Problem in Molecular Physics. F. Muller-Plathe, Combining Quantum Chemistry and Molecular Simulation. S. Canuto and K. Coutinho, Solvent Effects from a Sequential Monte Carlo-Quantum Mechanical Approach. J.R. Sabin, Energy Deposition of Swift Alphas in Neon: An Electron Nuclear Dynamics Study. R. Moszynski, T.G.A. Heijmen,P.E.S. Wormer and A. van der Avoird, Theoretical Modeling of Spectra and Collisional Processes of Weakly Interacting Complexes. M. Karelson, Quantum Chemistry in Condensed Disordered Media. D. Bielsinska-Waz and J. Karwowski, Determining Shapes of the Molecular Electronic Bands from the Intensity Distribution Moments. T. Korona, R. Mosynski and D. Jeziorski, Convergence Properties of the Symmetry-Adapted Perturbation Theory for the Interaction of Helium Atoms and a Hydrogen Moleculewith a Helium Atom. M. Klobukowski, G.H.F. Diercksen and J.M. Garcia de la Vega, Electron Affinity of SF - 6. C Lavin and I. Martin, The Oxonium Rydberg Radical: Electronic Transitions. B. Batandjieva, I. Miadokova, I. Cernuak, An abInitio Study of Four-Membered Rings. Boranes HBXYYBH; (X, Y = C, N, O). SiN - 2 and SiN - 4 R. Janoschek, Molecules: An ab Initio Study of Molecules and Electronic Structure, Stability, and Ir Activity P.W. Fowler, S.A. Peebles and A.C. Logan, A Sternheimer-like Response Property of the Bromine Molecule: Electric Field Dependence of the Br Field Gradient. M. Barysz and M. Urban, Molecular Properties of Boron-Coinage Metal Dimers:BCu, BAg, BAu(V)1. E. Kochanski, R. Kelterbaum,S. Klein, M.M. Rohmer, and A. Rahmouni, Decades of Theoretical Work on Protonated Hydrates. O.N. Ventura, M. Kieninger and K. Irving, Density Functional Theory:A Useful Tool for the Study of Free Radicals. B.G. Wybourne, Guesses-Hunches-Formulae-Discoveries. F.J. Smith, M. Sullivan, J. Collis, and S. Loughlin, Applying Artificial Intelligence in Physical Chemistry. W. Duch, Artifical Intelligence Support for Computational Chemistry. P.L. Kilpatrick and N.S. Scott, The Role of Rigorously Specified Abstract Data Types in the Construction of Knowledge-Based Quantum Chemistry Software. Subject Index. 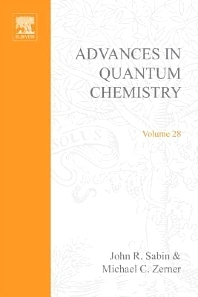 Advances in Quantum Chemistry publishes surveys of current developments in the rapidly developing field of quantum chemistry--a field that falls between the historically established areas of mathematics, physics,chemistry, and biology. With invited reviews written by leading international researchers, each presenting new results, this quality serial provides a single vehicle for following progress in this interdisciplinary area. 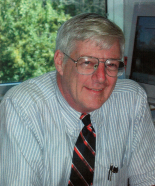 "Volume 28 collects papers written in honor of Geerd H.F. Diercksen. Diercksen is a pioneer in the field of quantum mechanics whose research includes studies of the structure and stability of hydrogen-bonded and Van der Waals dimers and small clusters, thevibrational and rotational spectra of diatomic and triatomic molecules, on static electric properties in solutions and of molecules absorbed on surfaces. His results are essential in molecular and atomic physics, in astrophysics, and in biochemistry. Researchers in quantum chemistry, mathematics, biology, and physics. Universities and industrial research and development groups working on biological molecules and new materials (e.g. semiconductor chips, polymers, and alloys). Companies such as Intel, IBM, Bell Labs, and Genentech.